Netflix found its way back to customer acquisition for its streaming offer during 2011’s last quarter, the film & TV streaming and DVD rental service announced. Not only did it acquire 220,000 domestic streaming subscribers, but it also attracted 380,000 international streaming subscribers following its recent launch in Latin America, the UK and Ireland. As for its financial results, they are also up – its global revenue grew 47% year-on-year during the last quarter, reaching US$847m. However, its international business is far from profitable, and registered US$60m in losses over the last quarter, impacting profitability – Netflix’s net income is down 13% year-on-year to US$41m. Yet, this was to be expected, as the company had warned its shareholders it would have to invest heavily in marketing and content acquisition to promote its offer abroad. 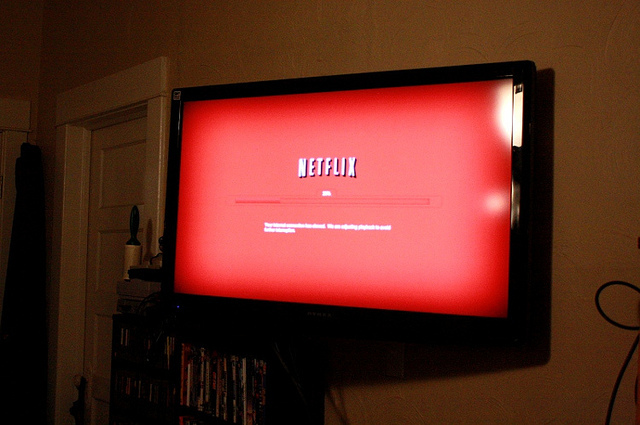 Following its recent expansion, Netflix is currently operating in 47 countries. As for its DVD business, it is still ailing. Netflix lost 2.76m DVD subscribers over the last quarter as a result the recent PR disaster which had already cost the company 800,000 subscribers in Q3, but also of its price hike, and more generally of the transition towards streaming offers. Besides its earnings, the company also highlighted a few interesting data points about its users. For instance, Netflix reminded its shareholders that its members enjoyed over 2 billion hours of Netflix streaming video in Q4 – approximately 30 hours per subscriber on average. The company also hinted at what’s coming. “We will continue to increase our content spending sequentially every quarter, but not at the year-over-year rate expected in Q1 (more than doubling),” its CEO Reed Hastings and CFO David Wells wrote. In contrast, its competitor Hulu announced last week that it would spend US$500m in content acquisitions in 2012, up from a reported $300m last year. “Last quarter, we explained that the evolution of video streaming services to a large extent reflects the legacy of television networks: namely, historical reliance upon exclusive content as a differentiator. Consistent with this practice, we are increasingly licensing content on an exclusive basis,” the company’s top managers declared.